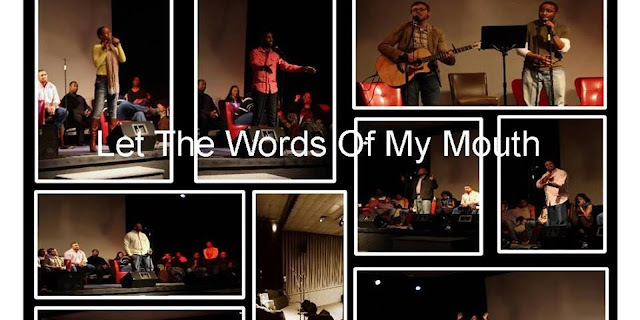 Let The Word's Of My Mouth is a gospel centered poetry event that currently takes place in Fayetteville, GA. 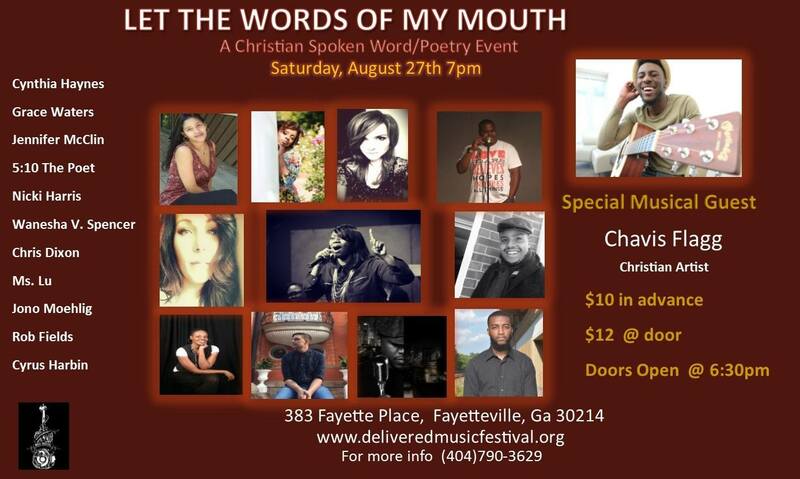 The line up of artists and poets is stellar. The latest installment in the series will include such performers as 5:10 Poet, Chris Dixon, Cyrus Harbin, Chavis Flagg, Nicki Harris and many more favorites from around the Atlanta, GA area and beyond. The event will take place on August 27, 2016 at 383 Fayetteville Place in Fayetteville, Ga.